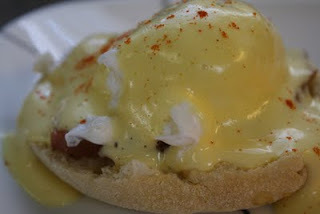 My husband and I are big lovers of Egg's Benedict, in large part because of the tasty hollandaise sauce that smothers this breakfast delight. Ham, Cheese, and Everything Egg Bake! *Note: prepare the egg bake the night before you need it! Growing up, I had never had egg bake. We made scrambled eggs, over easy eggs, deviled eggs, omelets, and used eggs for baking, but we never made egg bake. My mother-in-law, however, makes it on special occasions and it is probably one of my favorite breakfast foods! 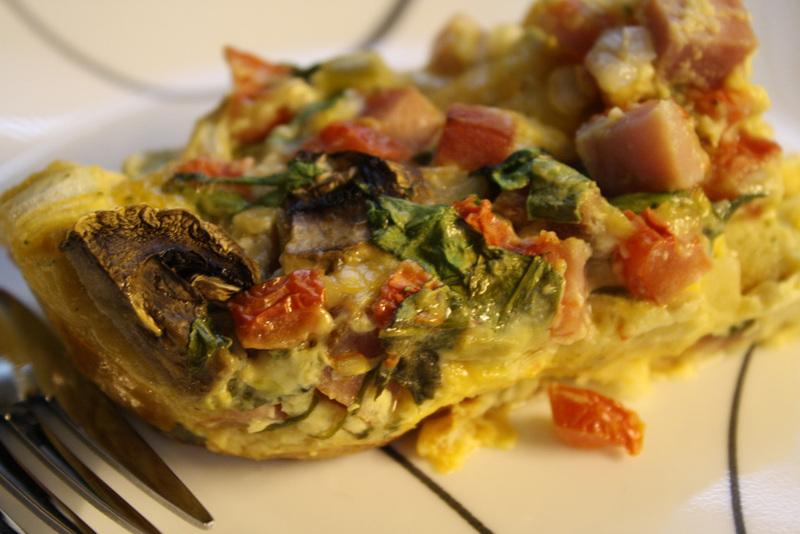 Read more about Ham, Cheese, and Everything Egg Bake! Mediterranean Eggs - taking the classics and adding some pizzazz! 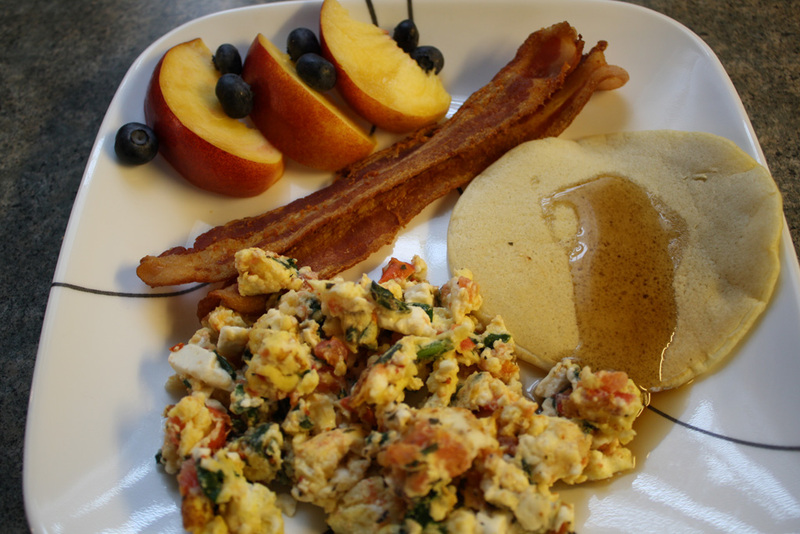 For many years, I disliked breakfast food. I remember traveling with my family and stopping at Perkins. Everybody else ordered omelets, pancakes, toast, cereal, bacon, etc... except me. I always ordered some kind of sandwich, even if it was 9:00 in the morning! The waitresses usually gave me a funny look, prompting me to inquire "is it too early for lunch food?" to which they would smile and reply "No, of course not." Read more about Mediterranean Eggs - taking the classics and adding some pizzazz! There was nothing quite like mom's weekend breakfasts growing up. 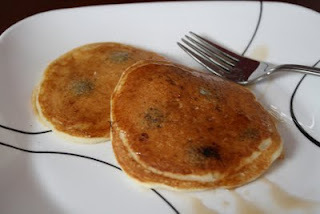 She would make pancake batter from scratch (I didn't even know about boxed batters until I was in high school) and whip up a stack of the perfect-sized pancakes. Then we would complete the meal would scrambled eggs & cheese along with some bacon! There is nothing quite like a few strips of crispy bacon to go with pancakes smothered in syrup. 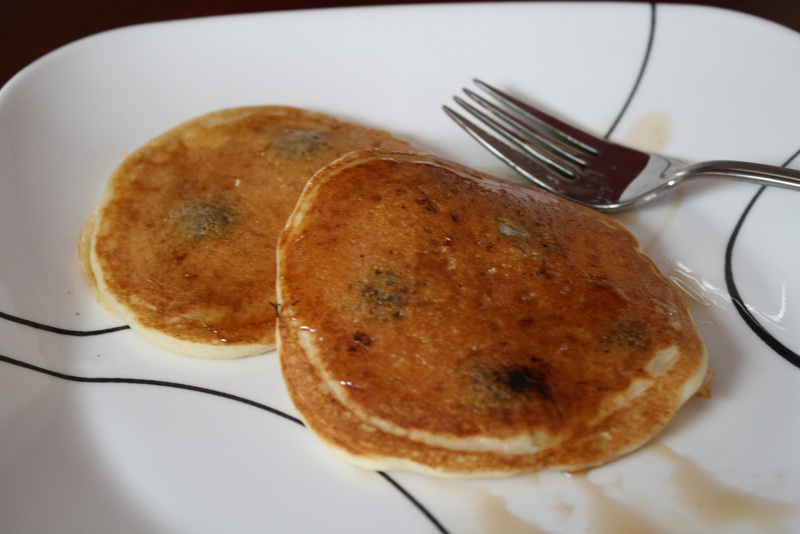 Read more about Buttermilk Pancakes from Scratch! Blueberry Muffins remind me of childhood... and that's a good thing! I remember blueberry muffins with such a fondness that every time I make them I get nostalgic. Mom only made blueberry muffins on weekends and only a few times a year... and nothing was better than mom's homemade blueberry muffins, unless of course they were grandma's blueberry muffins! 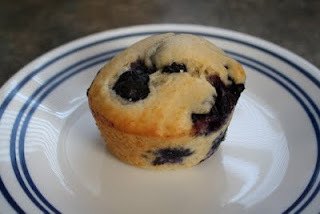 Read more about Blueberry Muffins remind me of childhood... and that's a good thing!